On the road again! Heading to Spring Market in Minneapolis, MN. I am thrilled to be traveling with two other designers, Carol McLeod of Aunties Two and Kris Poor of Poorhouse Quilt Designs. They both have amazing patterns with clever unique shapes! Check out their websites, http://www.auntiestwo.com and http://www.poorhousequiltdesigns.com. 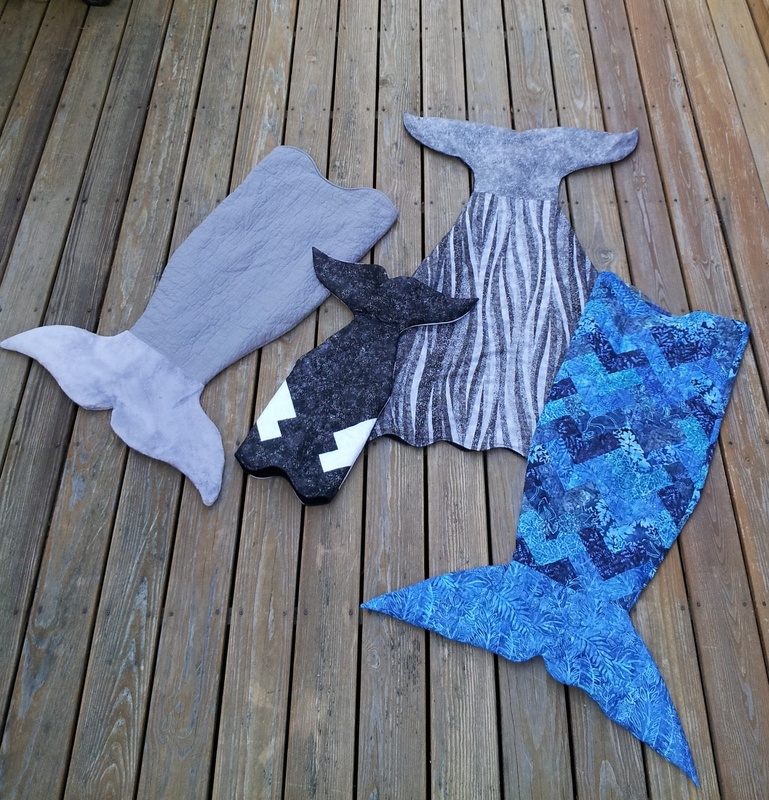 Mermaids! This is the pieced version. One of three versions in the pattern. A snuggle bag of fun for relaxing! I’ll post more photos of the patterns in the next few days. They will be posted to the website very soon! With all the excitement of Market my brain has been on overload with making lists and checking them ten times. I will end with tips to speed up the process and keep your body moving. 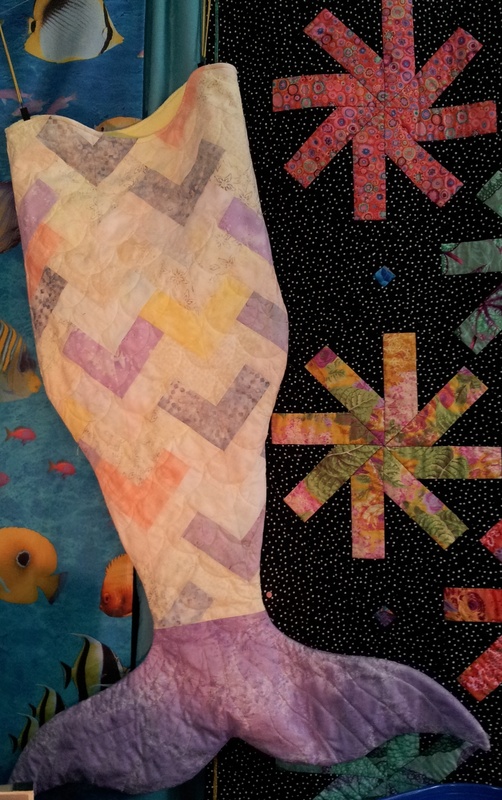 #1 – Use a serger for piecing! You will use more thread with the overlock stitch but it is nice to sew seams very fast! #2- take breaks when spending hours at your machine. Get up, move around and drink plenty of water. Give your eyes a break and stretch those muscles! This entry was posted in Patterns, Tips, Uncategorized. Bookmark the permalink.